The Australian Made NS-FJS2 fixed short jib attachment has 2 tonne SWL and is fitted positive lock pins (not safety chains) to secure the forklift jib attachment to your forklift tines. The type FJCL25 Fixed Jib (Long) is designed as an affordable general purpose jib with a 3.5 metre reach when fully extended, allowing for long reach lifts. 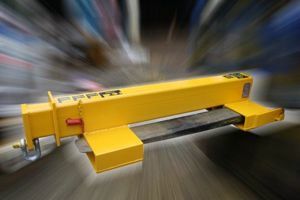 The type SFJCL100 Fixed Jib (Long) is designed as an affordable general purpose jib suitable for larger Forklifts with a 3.56 metre reach when fully extended, allowing for long reach lifts.